Democracy has been a pillar of Western civilization since around 500 BC. In its many shapes and forms, democracy has evolved with societies to serve a political structure. As possibly all political theories go, democracy promises greater merit on paper than in practice. Just the element of democratic voting poses some serious challenges. For example, just to name a few, it is hard to predict consequences of the majority vote. Secondly, it can be problematic to decide who is eligible to vote, and whether all votes are of equal weight. Thirdly, it is required that voters are knowledgeable about the topics on which they vote, which is difficult to control. Finally, the issues which require a vote are often more complex than a black and white decision, making it harder for voting to have meaningful input. Santiago Siri, the founder, sees what is so-called Liquid Democracy as a part of the inevitable evolution of democracy, one which is designed for the Internet Age. “Democracy is not an absolute idea, it’s a work in progress. It will never be complete,” he says. This month, Democracy.Earth is just celebrating its first implementation of quadratic voting (explained in the interview below) in the state of Colorado, on May 16th 2019. Maria Sofía Cossar Lambertini is an ambassador to Democracy.Earth, with a background in Political Law of International Security. Maria is a “democracy disruptor, incremental revolutionary, hacktivist and creative non-conformist.” In our interview, she answers some of the most imperative questions about the revolutionary connection between blockchain and democracy. What are the current pitfalls in democracy? “The dilemma that democracy faces is four-fold, and it is linked to its current design: representative democracy combined with party politics. Rampant centralization of power. This includes “formal power” (due to institutional and bureaucratic barriers like regular elections) and “real power” (due to an uneven influence in decision-making in benefit of privileged groups like lobbyists). Very weak interest aggregation mechanism, since our only option is to directly vote for candidates with pre-settled, rigid, overarching political platforms, with the hope they get elected and their policies implemented, instead of voting directly on particular issues. We are victims of deliberate manipulation of the public opinion and sentiment through emotion-abundant speeches and unverified statements. Legitimization in the public sphere usually resorts to evoking anger, fear, and hope instead of making use of mature, rigorous debate. We cannot effectively dismantle the lack of transparency in the government. Secrecy is an intrinsic feature of most governmental operations. We cannot effectively hold our representatives accountable for poor or repudiable performances in a timely manner, since our votes are “kept frozen” until new elections. The innovation of blockchain technology changes the rules of the game. What does it enable (politically) that was not possible before? How are decentralization and democracy linked? “By default, decentralized decision-making schemes are democratic, but not all democracies are decentralized. Lack of delegation leads to a “polyopoly”, or extreme fragmentation of the voting power. Abundance of delegation can lead to a “monopoly”, or extreme concentration of voting power. In theory, we should aim for a trusted environment of decentralized governance that is both stable and based on a high level of legitimacy. For that reason, Democracy Earth combines liquid democracy with quadratic voting. How does Democracy Earth innovate on the philosophy of democracy? “Sovereign is Democracy Earth’s unique proposal – a blockchain-based liquid democracy platform which innovates in four key points: identity, liquidity, voting, and representation. User-citizens are able to participate after their self-sovereign identity is validated by other members of the network, ensuring data privacy and ownership while claiming back a role that has been historically delegated solely to public registries in national jurisdictions. Once validated, each of them gets a certain number of tokens that can be used to vote, which are dripped over time to his wallet following a UBI mechanism. This guarantees an equal starting point and liquidity for all participants, irrespectively of when they join the network. Additional votes may be delegated by another user or granted by the respective Organization. Private and public Organizations of any size can be set up through a Constitutional Smart Contract, which lays out the governance rules in terms of membership, issues, and ballots. The possibilities are endless: from a time-limited, one-man/ one-vote, and simple majority type of scheme; to a never-ending, plural voting, voter’s reputation counting method configuration. However, the truly innovative feature pertains to representation: who casts the votes? Both representative democracy and direct democracy work within a binary option-spectrum participation / abstention. Under representative democracy, one “participates” when voting for a candidate. Under direct democracy, when deciding on an issue. The post How blockchain innovates democracy with Democracy.Earth appeared first on Crypto Insider. Bitcoin fund Adamant Capital recently released a report stating that Bitcoin (BTC) is in an accumulation phase. Rangebound activity is expected as part of this phase. Adamant Capital highlighted many different interesting research conclusions in a bullet point summary of its report. “Blockchain analysis suggests Bitcoin whales are now accumulating,” the report said. The extensive report included a plethora of details and analyses as reasoning for its statements. Regarding rationale for capitulation in 2018, the fund explained that blockchain data indicated a large number of Bitcoins were sold back in November 2018 – Bitcoins that did not often see much movement otherwise, indicating Bitcoin holder selling. The fund noted, however, that 2019 has shown improvement and the accumulation period has begun for crypto’s largest asset. In the report’s conclusion, the authors stated the belief that bitcoin currently is undergoing accumulation, which indicates that this could be the final bear market phase. Positive investor sentiment is reportedly higher than Bitcoin’s capitulation back in November 2018, and “Bitcoin HODlers are committing for the long term again,” the report said, citing blockchain data. The report also mentioned that Bitcoin may still see lower price action, but the asset’s fundamentals are building steam. “We assert that the long term risk-reward ratio for Bitcoin is currently the most favorable of any liquid investment in the world,” the fund states in its conclusion. Adamant Capital’s report contains significantly more data than covered in this article. Read the full report here. The post Tuur Demeester sees Bitcoin entering ‘heavy accumulation’ phase appeared first on Crypto Insider. – Initial Coin Offerings, etc. The entities may not be suitable for RS if the proposed financial service is similar to those that are already being offered in India unless the applicants can show that either a different technology is being gainfully applied or the same technology is being applied in a more efficient and effective manner. Similarly, earlier in the year, a series of threats from private banks to customers who had been identified as crypto users were reported in social media. According to multiple users, their accounts were being closed without notice. 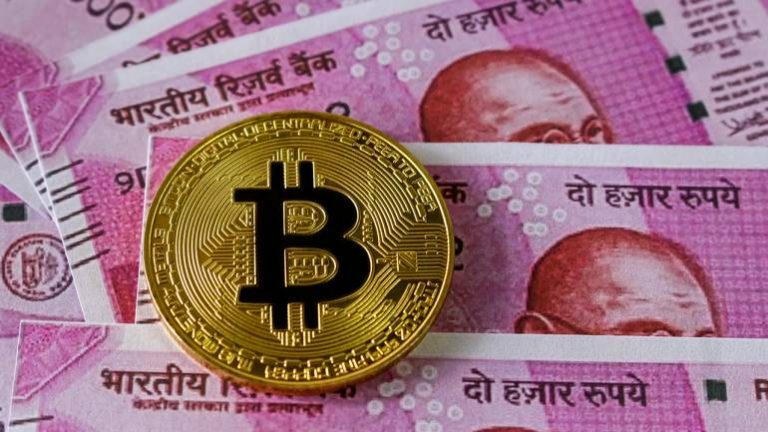 In India, there is still no law expressly prohibiting the use of cryptocurrencies, but the government has exerted so much pressure on users that – despite the judgement of the country’s courts – cryptos are virtually banned. The post Reserve Bank of India Says Cryptocurrencies are “Negative” and Don’t Provide Anything New to The Economy appeared first on Ethereum World News. Anatoly Radchenko, a traditional stock trader turned Bitcoin investor, recently appeared on Ivan On Tech’s crypto-centric Youtube channel to express his thoughts on recent movements in this market. The Russian analyst, who has a large following from his region, was surprisingly bullish. When asked about whether or not he agrees with the cheery sentiment put forth by pundits like Tom Lee, who recently claimed that Bitcoin’s current fair value is anywhere from $10,000 to $14,000 on CNBC and Bloomberg, or digital gold proponent Michael Novogratz, he agreed. Radchenko opined that more likely than not, BTC found a long-term floor at $3,150, meaning that the bottom could very well be in. However, that’s not to say that new highs are inbound. Far from. In fact, the analyst hinted that there’s a massive likelihood that new highs won’t be inbound for Bitcoin this year, nor will there be a 2017-esque bull rally in the near future. He states that by August, over three months away, BTC would have only likely reached $7,000 apiece, which is 30% above current levels. From there, he expects for a local top to be rejected, meaning that BTC could fall down to $5,000. But by the end of the year, Bitcoin could very well see $10,000. And some have agreed. Per previous reports from this outlet, Clem Chambers, the chief executive of ADVFN explained that BTC could see $10,000 by the end of the year. Arthur Hayes, too, would agree. As we covered previously, the chief executive of BitMEX wrote that there that market will show “green shoots” as this year comes to a close, allowing Bitcoin to “claw back to $10,000.” Backing his call, he draws attention to a number of factors, like the recent dovish state of the Federal Reserve, among other factors. Over the past seven days, Bitcoin (BTC) has expressed an uncharacteristic lack of price action. In fact, since April 16th, BTC has ranged between $5,170 and $5,325, as buying and selling orders have dwindled to month-to-date lows. However, one analyst, Murad Mahmudov of Adaptive Capital, is predicting that over the coming week or two, the cryptocurrency markets will finally begin to show signs of action after some further stagnation. In a recent Trading View post, the prominent analyst, who skyrocketed to fame partially as a result of his appearance on Anthony Pompliano’s “Off The Chain” podcast, explained a potential scenario he sees for BTC. Mahmudov depicted the fact that over the past three weeks, Bitcoin has tested $5,350 and failed seven times. He adds that with one or two more tests of that local resistance level, which will come over the next two weeks, the asset is likely to break out. And once $5,350 is convincingly broken, Mahmudov explained that BTC could easily rally to $5,750, as there is a clear lack of liquidity in between $5,400 and $5,700. $5,750 is important, in that this is where Bitcoin traded at for months on end in the middle of 2018. While some are convinced that BTC will break through the long-standing level of importance, Mahmudov expressed that he expects for the crypto asset to fail to surmount that level, falling instead of breaking through. He depicted that if BTC fails to break $5,750, it could easily collapse through $5,000 to $4,800, and set this market under an array of key short-term support levels. This lines up with his previous theories that cryptocurrencies aren’t out of a bear market just yet. As reported by Ethereum World News previously, he has drawn attention to the $1,700 region as the potential point at where Bitcoin will finally bottom. In one comment, he wrote that for BTC to fulfill a repeat of 2014-2015’s cycle, a period of “Final Capitulation” will need to occur, whereas prices could fall 50% from the seeming lows ($3,200 region). Another time, he remarked that if cycles prolong each and every time, BTC could likely have a few months more of pain before an eventual recovery. Again, he looked to the high $1,000s. Sure, there’s a high likelihood that BTC won’t pass $5,800, specifically due to the historical importance of that level in 2018’s downturn. But, some are convinced that the cryptocurrency market will manage to overcome that barrier, as fundamentals and technicals seem to be signaling that a strong move upside, much like the one seen earlier this month, will come to fruition shortly. As trader B.Biddles remarked, Bitcoin’s one-week chart from August to now impeccably resembles a “bump-and-run reversal bottom” (BARR Bottom) shown in a notable technical analysis book. If you like Crypto and you are also a fan of the popular Tv Series Game of Thrones, then… What a time to be alive. A startup has created the first set of crypto collectibles inspired in the most viewed TV series of the year. The idea behind these tokens comes from Nodesmith, an American firm focused on promoting the adoption of blockchain technologies by developing applications in Aion and Ethereum. 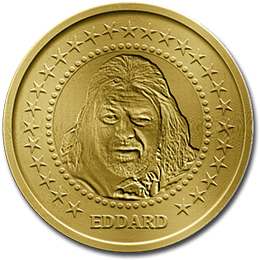 Ned Coin: Ned Stark was the audience’s “favorite” character during season number one, and the first character to show that in Game of Thrones everyone… EVERYONE… can die. So while you transfer your beloved tokens, you have a 20% chance that your tokens will “die” (you will witness a token burn instead). 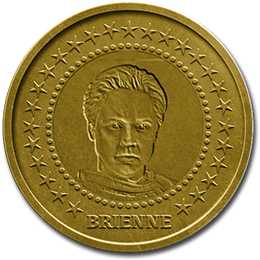 Brienne Coin: We know Brienne for having sworn allegiance to several characters throughout the series. However, her loyalty is not an easy thing to earn as it is one of the most important values of her life. Whoever forges these coins places in the blockchain who this token is loyal to (Whatever that means). 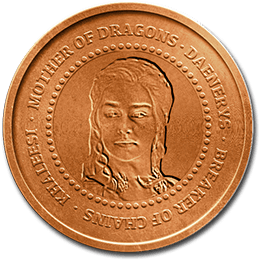 Daenerys Coin: Daenerys Targaryen… Well… Queen Daenerys Stormborn of the House Targaryen, the First of Her Name, Queen of the Andals, the Rhoynar and the First Men, Lady of the Seven Kingdoms and Protector of the Realm, Lady of Dragonstone, Queen of Meereen, Khaleesi of the Great Grass Sea, the Unburnt, Breaker of Chains and Mother of Dragons, to be more precise. 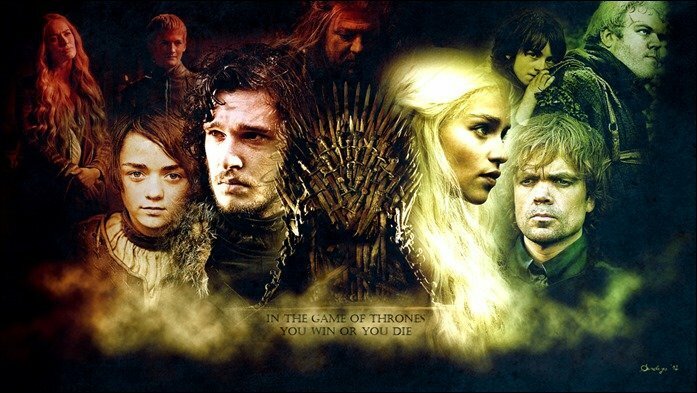 The Games of Thrones fever has been so strong that these tokens are not the only contact between the series and blockchain technologies. There are already bets on Augur on Game of Thrones and even a designer created a line of shoes inspired by Game of Thrones with the novelty that users can verify their authenticity through a private blockchain based on Ethereum. 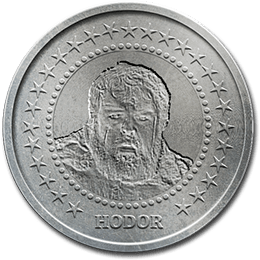 The post Now You Can Have your Game of Thrones Crypto Collectibles appeared first on Ethereum World News. Despite the current bearish market, crypto adoption keeps expanding with various coins being integrated into people’s daily activities. The other day, Dash reported that it had made another step towards broadening its adoption area. Dash Embassy Thailand has partnered with WisePass – a company that provides users with samples of goods and services at various venues within its network. Now, customers can pay a monthly fee in Dash and get access to more than 300 different venues in Bangkok, Ho Chi Ming, Hanoi and Manila (Thailand, Vietnam, the Philippines). At WisePass, they have decided to ensure some real crypto adoption in order to bridge the crypto industry and the real world economy. By integrating Dash, they are encouraging customers to spend their crypto as if it were a traditional means of payment and giving them this opportunity. A “one-time PASS” costs users $35. For this payment, they can have a meal in a restaurant or a drink at Starbucks. This can buy them a movie ticket, a bottle of wine, a session in a fitness club, etc. WisePass plans to add more venues with more services in the near future. widely spread among merchants – seems to be in providing value for merchants. are good for their business revenues and for the economy in general. discounts and let them buy goods and pay for services on a daily basis. Earlier, EthereumWorldNews wrote about another significant partnership Dash had struck in Thailand with AnyPay POS platform. AnyPay now provides its customers with an opportunity to spend Dash at a variety of merchants too. The post Dash Integrated by WisePass Sampling Network to Enhance Crypto Adoption appeared first on Ethereum World News. After identifying more than 200 blockchain projects in the country, the French government is reportedly planning to invest around $5 million in breakthrough innovations. The idea is to win the race against Chinese and American companies that have been making substantial investments in various crypto-related initiatives. Le Maire believes that important steps have been taken to encourage the development and adoption of blockchain technology in the nation. Just over four days ago, the Pact Act came into law after a final vote led by the French Parliament, allowing insurers to use cryptocurrencies for insurance saving funds. Notably, the French government is clearing the path to encourage innovation and development of blockchain technologies around the nation. Through a regulatory framework, it wants to become an attractive country for unique investment opportunities in crypto-assets. All of the planned actions that will cover most sectors of the economy will be put in place by the end of the year. Buying a piece of the Mona Lisa: Are STOs the new ICOs? Blockchain and Internet of Things: A match made in heaven? The post French government is clearing path for blockchain technology appeared first on Crypto Insider.